If Goodell were seen as a mild, self-effacing servant dedicated to tidily stewarding America’s biggest sport, today’s ruling might merely be seen as a welcome correction to a well-intentioned, honest mistake. Instead, Goodell has responded to important revelations about head trauma by policing player conduct with all the zeal of Javert and none of the precision, and so this overturning can fairly be viewed as a rebuke. Moreover, given that the person doing the overturning was not some neutrally appointed outside counsel, but Paul Tagliabue—Goodell’s immediate predecessor as commissioner, who had been selected by Goodell himself to hear the appeal—the whole thing is little short of an embarrassment. “We respect Mr. Tagliabue’s decision, which underscores the due process afforded players in NFL disciplinary matters,” the league said in a statement. That is a point worth stressing: The system worked, in that the players weren’t ultimately punished. But, as Saints quarterback Drew Brees tweeted today, “Unfortunately, there are some things that can never be taken back.” That is, Tagliabue’s ruling hardly erases the allegations themselves—and the damage they’ve done to the players' reputations, on and off the field. 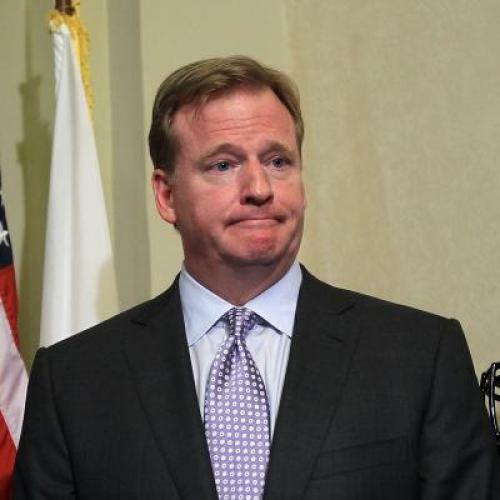 Just as important, however, is the damage done to Goodell over this “Bountygate” saga. Without getting too much into the weeds of it, let’s note that the ruling Tagliabue overturned today was actually the second bounty ruling Goodell made this year; the first, which was thrown out over a technicality, was even harsher, and even falser—among other things, it found that Fujita contributed to the injury-related pool. This is humiliating not only for the commissioner, but for the league itself. Though at the peak of its popularity, the NFL is in existential trouble: There is something fundamentally rotten in the sport itself, the repeatedly violent collisions of which are proving inseparable from permanent brain damage. If football is going to heal itself, it will require both creativity and authority from the top. Goodell has so far proven adept at getting good press—witness this week’s fawning, complacent Time cover story—but his overcompensating, scattershot attempts at making the game safer have evinced little creativity and eroded his own authority. In short, the commissioner’s office is losing prestige and credibility at the very moment the sport needs it most.